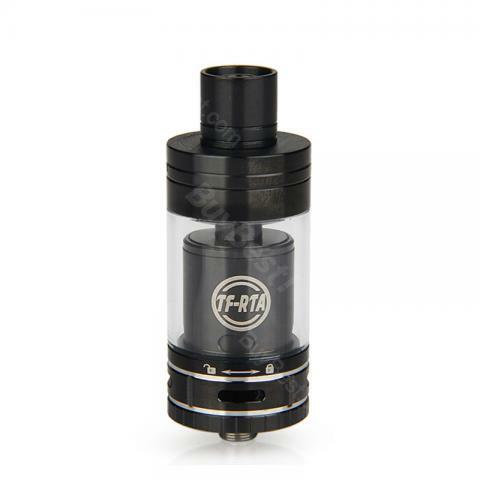 SMOK TF-RTA is an awesome rebuildable tank atomizer. It has 2 editions, one with quad-coil G4 deck and the other with dual-post velocity G2 deck, which will bring you dense flavorful clouds. Black and SS colors available. 4. Positioning and cutting the exceeding ends of wire off. Make sure the coil is fixed and lined up with the air hole, and also make sure the coil is NOT touching the deck. Then cut the exceeding ends of wire off. 7. Cutting the wick at an angle and make sure it’s not too short and not too long. Love the cool deck and airflow on this smok tf rta tank, bring me excellent vapor production. Simple to use, no leak, flavorful. Been using tf-rta tank for a week now. Everything smooth. No complaints here.